Smart stations consist of simple, environmentally-friendly units which are quick and easy to install. The tanks used for storage of fuel are double-jacketed so as to ensure the highest level of safety and minimise environmental impact. Installation takes just a few days, after which the station is ready for use, simply, quickly, and flexibly. You can pay for your purchase with the most common credit and debit cards such as Visa and Mastercard. The level of fuel in the tanks is monitored electronically from the office computer and an alarm will automatically sound in the event of leakage or theft. The electricity used by the stations is partially supplied by solar panels on the roof of the station. The stations are fitted with oil deflectors and meet the requirements stipulated by all relevant authorities, and are also CE-approved. Smart is at the forefront of efforts to find new fuel-saving and more environmentally-friendly additives and alternative fuels which can be used in internal combustion engines. 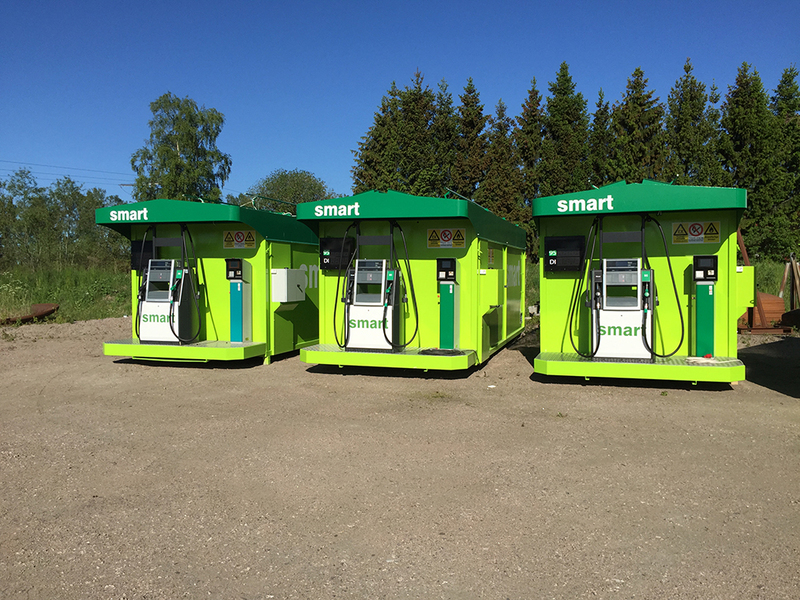 Smart is engaged in discussions with suppliers concerning the start-up of pilot projects in order to be able to evaluate whether customers have a positive impression of these new products.